ANNOUNCEMENT: For blog readers who may be interested in getting a free, self-serve intuitive reading, I am now posting Weekend Readings each Friday night on my Facebook Author Page: Tierney Sadler, Deck of 1000 Spreads. It seems like there's a disdain for television in society. A snobbery, of sorts. "Read something instead of watching TV. You're rotting your brain." Well, I watch TV. And, as it turns out, it hasn't rotted my brain. In fact, it conjures all sorts of deep and intelligent thoughts for me. I was raised on TV. I have a degree in broadcasting. And I have written for TV and video throughout my career. In contrast, I don't really read. Maybe a book a year. And yet I'm a pretty accomplished writer with a darned good vocabulary and a brain that doesn't smell like dead fish. So TV has served me well. What conjures even more disdain, however, is the kind of TV I like. Sure I like the comedies and dramas, but I have been a fan of unscripted shows—reality shows—since Big Brother and Survivor pioneered the category in 2000. And while some may turn their noses up at that, it's what sparks some of my deepest thoughts. At some point, people forget the camera is there and you see the ways they operate and what they're like under pressure. And you take that in and think of it in terms of yourself. Over the weekend I binge watched the first season of Alone. 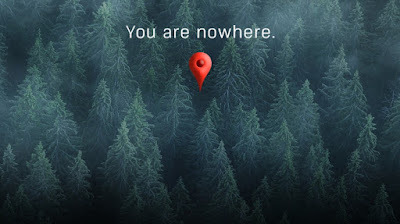 This is a show where they abandon 10 different people on 10 different, densely forested parts of Vancouver Island in the Pacific NW. And the last one standing wins. The weather is wet, freezing and unforgiving. There is zero human interaction. They are alone for as long as they can survive. They do all the filming themselves. They only get to bring 10 survival items with them. And when they've had enough, they have a satellite phone that brings in the rescue crews. The first ones "tap out" (quit) in the first day or two out of fear of the bears, wolves and cougars that dominate the terrain. By the end of the first week, half have tapped out. And that's when it starts to get interesting. Because once you have shelter and a way of getting food, the days get longer and thoughts begin to turn to yourself. As the winner said, "your biggest challenge isn't the bears and cougars, it's dealing with the predator inside you." And, ultimately, that aspect alone took a couple of men out. But the ones who were able to live through their fears and thoughts were fascinating. One guy's insights were particularly thought-provoking. Lucas was, arguably, the person best equipped to be there. I say arguably only because he didn't win. But by Day 14 this MacGyver of the bush had built a beautiful canoe from tree limbs and tarp. The canoe provided him access to an unending supply of clams, as well as better places to fish and a better camp. By Day 33, he had built a proper yurt. No kidding. Two days later, he made himself a little guitar, was composing songs and thinking of building a sauna...haha. This man lived like a king relative to all the others. Nothing stood in the way of him surviving the brutal winter there. But within a few days of making that guitar, he was gone. He left because he got clear about himself. After the first month (only 4 lasted more than two weeks) all the remaining men began to thoroughly examine who they were, the stuff they take for granted in their lives and why they were even doing this in the first place. All (except the winner) ultimately left because they came to the realization that they were there for their egos...to win for their egos. And they no longer needed that. They had endured so much. Accomplished so much. Proven so much to themselves. They had been stripped raw enough to see there were things far bigger than winning. They no longer needed to win. Lucas ultimately decided to leave because he finally felt at peace with himself and no longer had a reason to stay. Another interesting guy was Sam, the last one to quit...the guy who got second place. I was sure this 22-year old expectant father wouldn't last long. He was too flip, baby-faced and devil-may-care to take this seriously. He was awful at getting food. His shelter was pretty pathetic compared to the rest of the guys. Moreover, it had a flapping tarp, which was a mortal sin in my family growing up. :D But the thing that got him to Day 55 was the very attitude I thought would take him down. Mental fortitude, stubbornness, a sense of humor and the ability to face his own demons is what got Sam—and Alan, the winner—to the end. In fact, when they came in a day later to extract Alan (a very skilled and deserving 40-year-old survivalist) and tell him he'd won, he was genuinely shocked and said, "So soon?" He looked over at his shelter like he wasn't ready to leave. He was mentally and emotionally prepared to stay a full year. So, what all of this is getting to is that the path of discovery that you and I are on isn't for pussies. Once you have food, shelter, water and fire, survival is a mental game you've been preparing for throughout your own spiritual journey. Cougars and black bears aren't what frightens people most. Being alone with oneself and an inability to transcend one's own fears is what makes bad asses crumble. These guys weren't ordinary dudes who got drunk one night and thought it would be fun to go to the woods. They were all experienced at this sort of thing. But only the final few had the ability to search within and come out alive. When Alan was leaving camp after he won, he said the experience was "probably the most free a person can get in their life. It's just you, the creator and creation." And that's what this journey does for us. It's what meditating in nature does for me. I know the more I let go of my own fears and work on coming to peace with myself, the more free I feel. We don't realize the weight of the burdens we carry (and impose upon ourselves) until we put them down and walk a few steps without them. I know for myself that, as introspective and searching as I am, I'm also a big avoider. I'll find any distraction to keep me from looking too deeply within sometimes. Things like writing this blog help me get in my quota, but I do avoid. Lucas talked a lot about that. "I can't stuff it away anymore. Not with food, a relationship, work, social interaction, computers..." When we're alone with our thoughts and no distractions, our truth bubbles to the surface. It's terrifying, freeing, painful and triumphant. The insights gleaned while watching this show, from cool survival tips and wisdom about working with nature to personal revelations that hold a mirror to our own motivations and fears, are priceless and provide countless cues for introspection. Rumor has it there are books that do all of that just as well as reality TV does. ;) And both can also be used as an escape from searching within, too. As someone who frequently felt lonely and alone growing up, I've often thought the challenge of the self would be one I would ace. But I think we overestimate the value of our loved ones. I need my dogs. I need my friends and family. I need to interact with others. Granted, I need it less than most people, but I still need it. And that was a big part of what swirled in the minds of these men. "Why am I here when everything that matters is at home?" We can have food, shelter, water, fire and all the coping skills known to man, but humans have a kryptonite that we often take for granted. We need each other. Alone Season 2 is currently airing on the History Channel and this year the contestants included three women, one of which is still competing. You can watch it online.